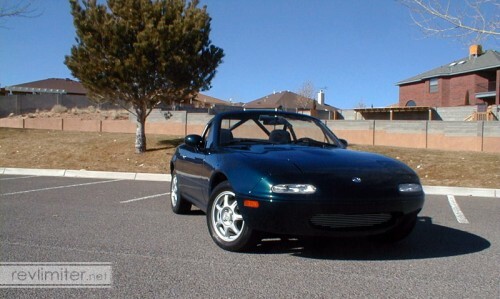 In April of 2000, I had no interest in Miatas. Or getting a new car at all. I was happy with what I was driving. I was about to get married. A new car was far from my mind. 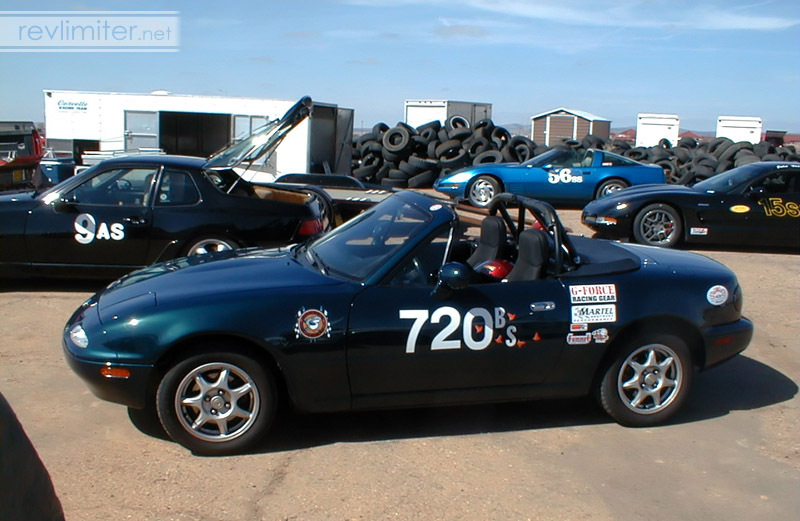 And then I drove a Miata for the first time. One test drive was all it took. I was hooked. I was impressed. I was moved. It was so simple. So small. So light. It fit me perfectly. It was not the fastest thing I’d ever driven by a long shot, but it was FUN. One test drive. On July 14th, 2000, I bought Sharka. 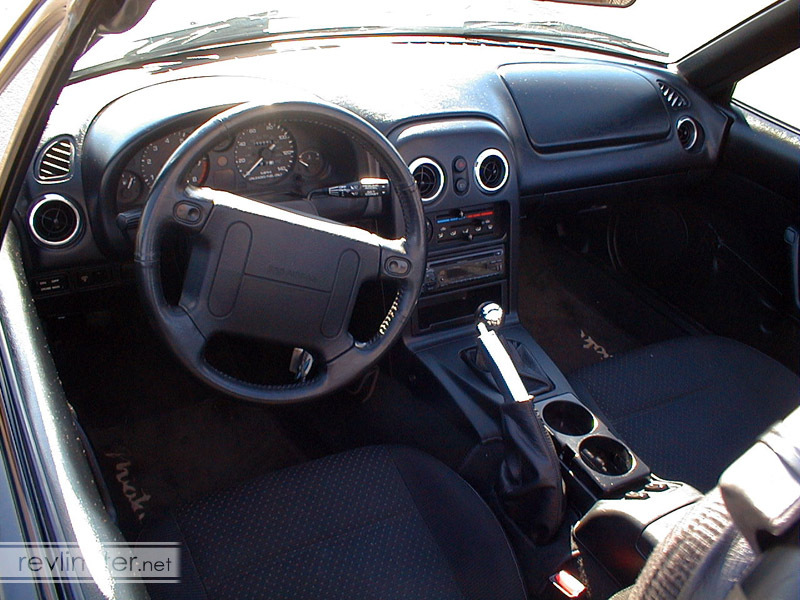 A 97 popular equipment package with 51,000 miles on the clock. He was the first Miata I test drove while looking for one to buy (though not the car in the story above.) I drove Sharka, then went to Maui and got married in May. A month passed with a few other test drives. 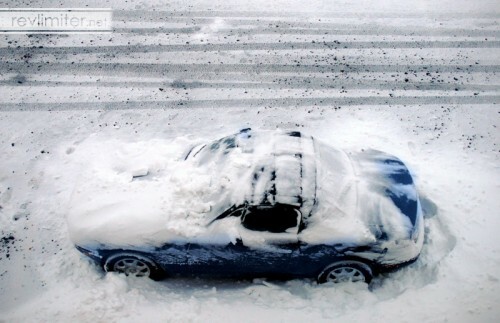 The salesman at the first dealership called me in July saying they still had the car. 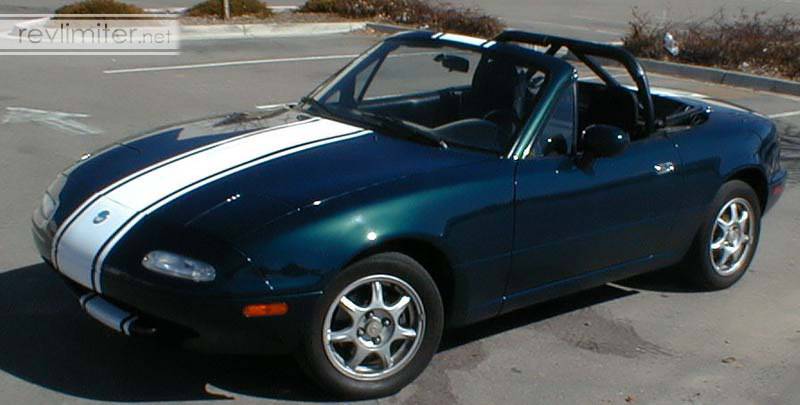 I went in, made an offer, and drove out with my beloved roadster. I had no clue what the next 10 years would bring. So. For Sharka’s birthday, I thought I’d do a little photo retrospective. Sharka through the years. No idea if this is of interest to anyone other than me, but I’m doing it anyway. Page down for the show. Or click on any of the photos and you’ll be taken to the gallery view where you can page through the shots one at a time. Fall of 2000: Sharka's first photoshoot. 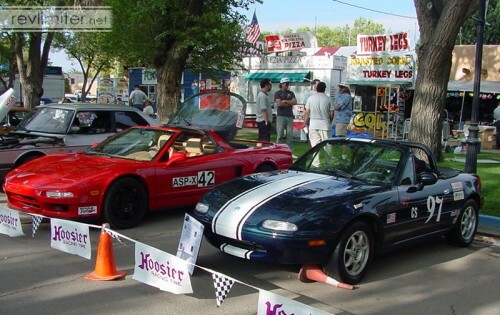 Fall of 2000: Look at that ride height! I bought the Voodoo shift knob before even buying a Miata. 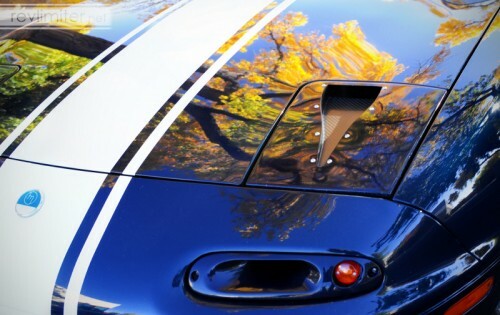 I was scouring the internet, trying to find out everything I could about the cars. The Voodoo was the hot item at the time, so I bought it and the matching handbrake grip. A couple weeks later, I installed them on Sharka that first night of ownership. 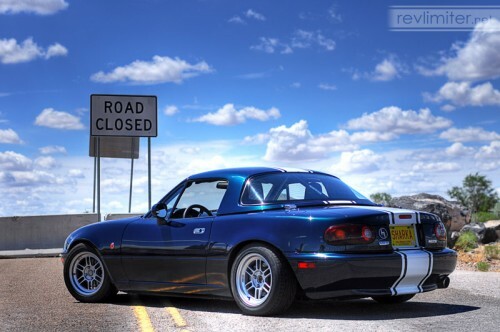 I knew I wanted a rollbar. I’m pretty sure I ordered it a week after buying Sharka. I was scared to death of rolling the car. Also, I kinda liked how they looked. The double-diagonal design was still new and fresh from Hard Dog at the time. 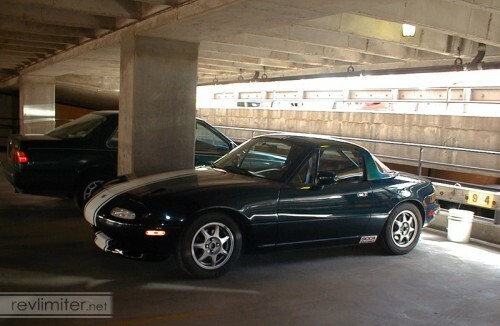 I was one of the first Miata.net members to have one. 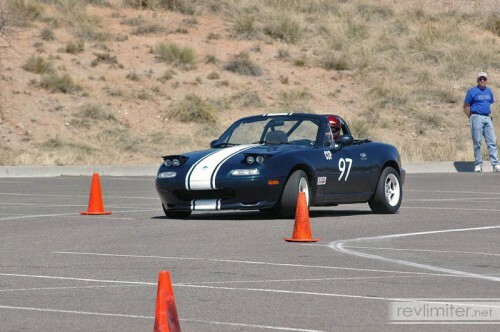 2001: Sharka's first autocross season. Yes, Miatas were once in B-Stock. 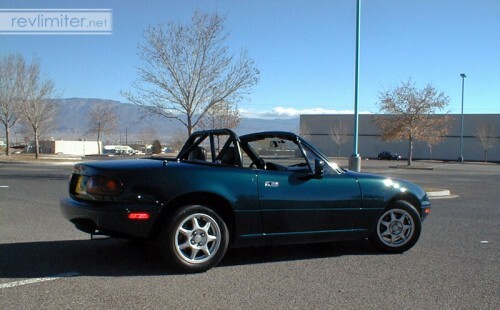 The NA is currently in E-Stock unless I’m mistaken. (Is the NB in there as well?) How times change. Sharka and I finished the season in 1st place and got a jacket. 2002: The first photo of Sharka wearing his stripes. 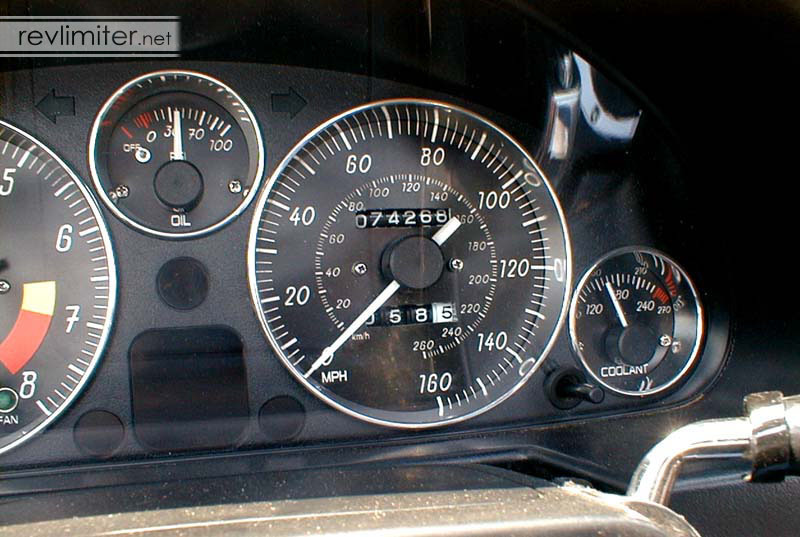 2002: My first set of DIY gauge faces. 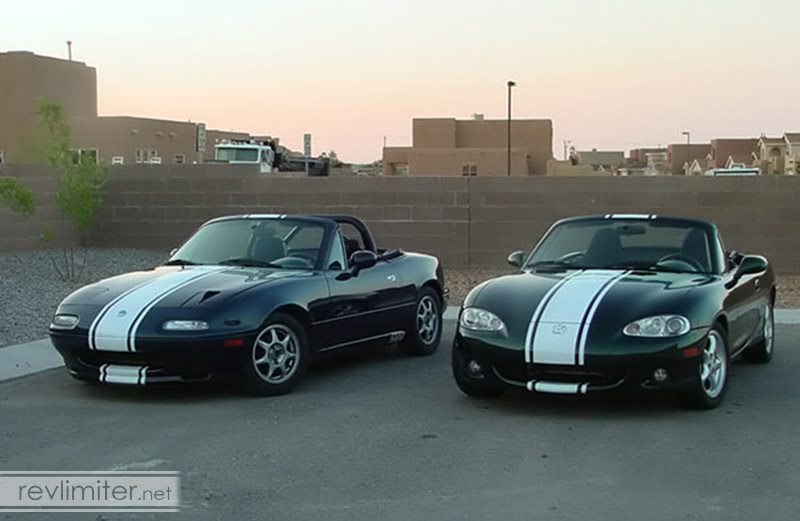 Miatas were bumped up to CS (down to CS?) for my 2nd year of autocrossing. We placed 1st in the class that year too. In 2003, I decided to do some mods and move up to CSP. I never again placed 1st for a whole season after that. heh. 2003: A road trip to nowhere, New Mexico. I picked up the hardtop for $800 locally after searching the Miata.net classifieds for a few months. That was a great price at the time. It’s a REALLY great price now, in 2010. Sharka had a small fender-bender a few months after buying the hardtop. We were out of town for an autocross. 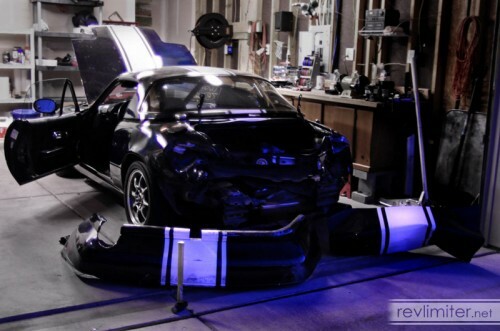 A truck backed into Sharka’s rear quarter panel. I worked a deal with the body shop I used to get the hardtop sprayed montego blue for an extra $100. Not bad, eh? Near the end of 2004, my wife was in the market for a new car. I offered to help her out with any car she wanted. Anything. S2000, BMW, Mitsubishi EVO (which was new to the US at the time), etc. A few weeks of test driving found this little 2001 needing a home. It was in good condition aside from the bucking clutch problem. Sarah was smitten. Papers were signed and we were a 2-Miata family. She named the car Bucky. Bucky got stripes that next spring. Throughout ownership, I’ve tried to keep my distance and let Sarah do whatever she wanted with the car, modification-wise. Not take things over, you know? I have Sharka for my personal automotive style. Anyways, Sarah liked Sharka’s stripes, so I put them on Bucky for her. Some couples have matching track suits. We have matching track cars. 2005: The year of the supercharger. I’ll try not to rant here, but I’m not promising anything. The thing just never ran right. The bandaids that BRP gave as “engine management”, the poorly sealing coldside manifold, and my own inexperience with engine tuning made for an awful year. The supercharger was fun when it worked, but that wasn’t often. My dead reliable car became a basket case. Some mornings, I couldn’t even get him to start. It was constant maintenance. In about 10 months, I changed supercharger belts something like 5 times. It was awful. I nearly sold Sharka that year. 2006: Back in CSP, killing cones with a smile. 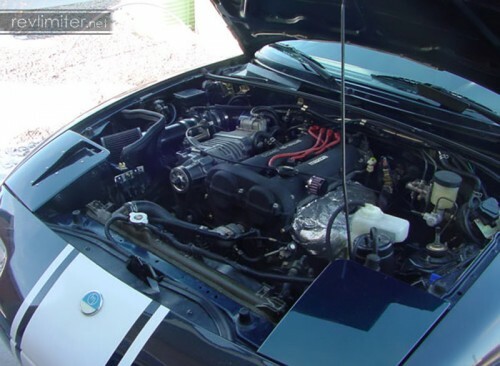 2007: Sharka got a 99 engine swap. I stopped trying to fit in back in 2007. Into an SCCA class that is. I realized that I’d been limiting the things I could do with my car for 7 years at that point just to fit into a class. 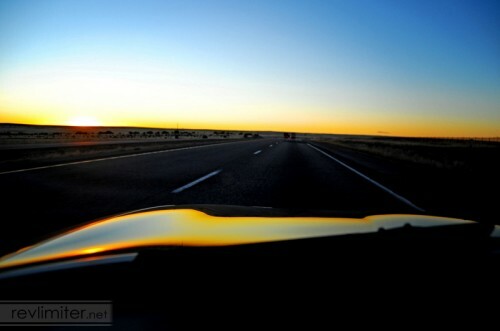 So I stopped and just focused on enjoying the car. Just sitting in the garage and twiddling with things is very satisfying to me. Driving back roads. 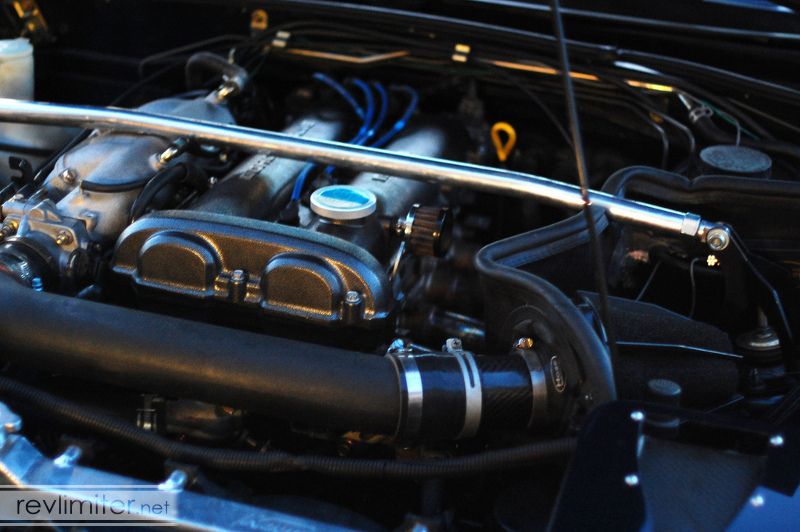 Taking photos of my car. 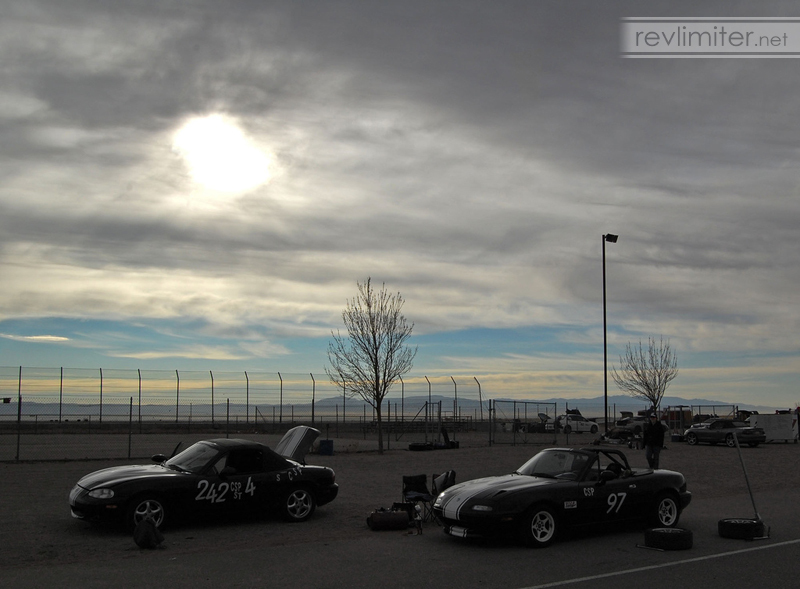 My SCCA involvement dropped off, but my personal enjoyment of Sharka increased quite a lot. I really got into photography in 2007. By 2008, I was shooting constantly. 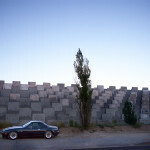 This site suffered a bit, but my flickr site got huge. Sharka was often the subject of my photos. The clone shot above is still one of my favorite shoots ever. Must have been 20 people who approached me in that empty parking lot while I parked and reparked while running back and forth between my camera. 2008: The night before Sharka's big wreck. I couldn’t believe gas was that cheap. I stopped at the station near my house and posed in front of the sign. Click click click. I went home and posted the shot on flickr. 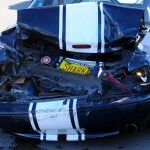 In the morning, Sharka’s 97 chassis went kablammo. November 2008: The best day ever? I lived. My automotive enthusiasm was reignited. My life gained focus. I put all of my energy into rebuilding Sharka. It was damn traumatic, but I think maybe it was the best day ever. It was exactly what I needed. Notice the trunk wreckage. My camera bag is sitting on top. That’s because my camera was IN that trunk. I fished it out through one of the holes. It turned on and was fine. Nikon makes a strong camera and Think Tank makes an AWESOME camera bag. 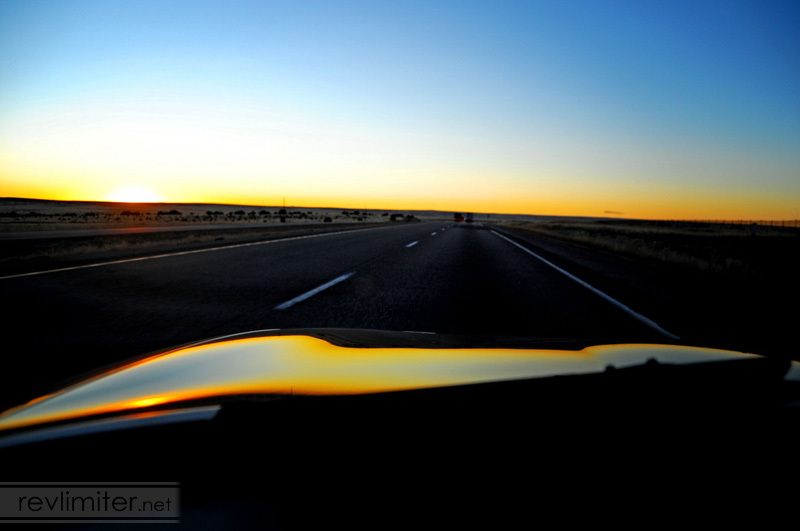 2009: On the road home. And that’s where this blog started, with the search for Sharka’s new body. I found the 95 chassis in Ohio. Only 31,000 miles. Pristine. Like it was waiting for me. I barely even think of it anymore. There’s no gap in my brain anymore about how there used to be a 97 and now there’s a 95. It’s just Sharka. The same Sharka that’s always been with me. 2009: The year of the rebuild. Who knows what the future will bring? Not me. The only thing I know for certain is that I’ll have a Sharka for as long as I’m alive. Whatever badness happens, I’ll just rebuild him. Better, faster, and stronger. Happy 10th birthday to Sharka! Personally, I was shocked to learn that Bucky will be 6 in November. 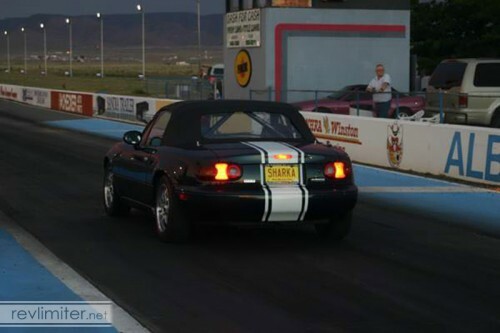 One of my dreams is to ship Sharka over the pond and drive around Europe for a month or so. I’d love to have some Sharka in Belgium shots. I don’t know if it’ll ever happen, but I’m hopeful. 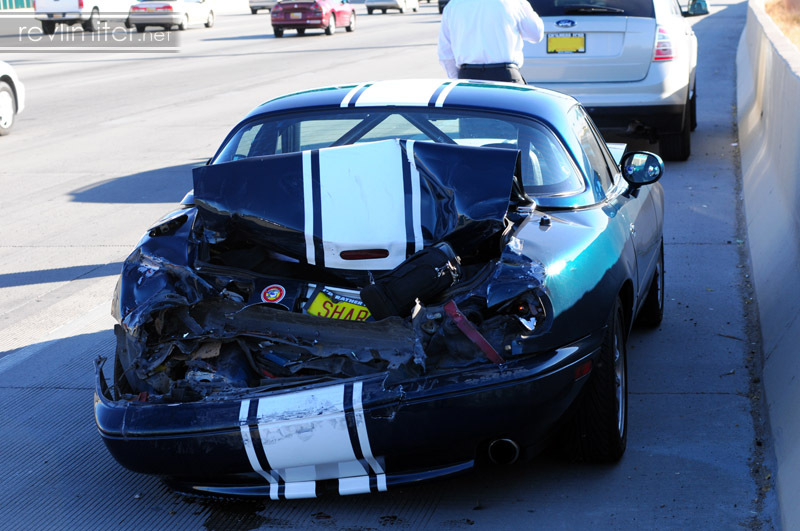 Gee, Adam…now I feel bad for having had 3 Miatas in only 3/4 of that timespan. That said, Sharka has always been an inspiration. Course now that I moved onto the NB2 crowd, you need to start taking more pics of Bucky so I have another muse! Don’t feel bad! No reason for folks to keep the same car. I just kinda got attached. Sharka owes YOU a lot. Woulda been mighty boring and cold in Chicago without you. 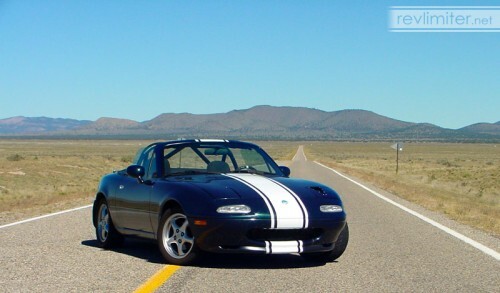 Wow I have been following this site for quite a while… love the pics… strange I want a second Miata now! Happy birthday sharka, congratulations from germany! 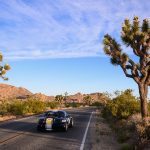 I love your blog, the pictures, the car, even your style of writing make me check this site for at least every second day 😀 always a pleasure to read, go on! Every 2nd day? WOW! Thanks!!! I’m not nearly that prolific a blogger. 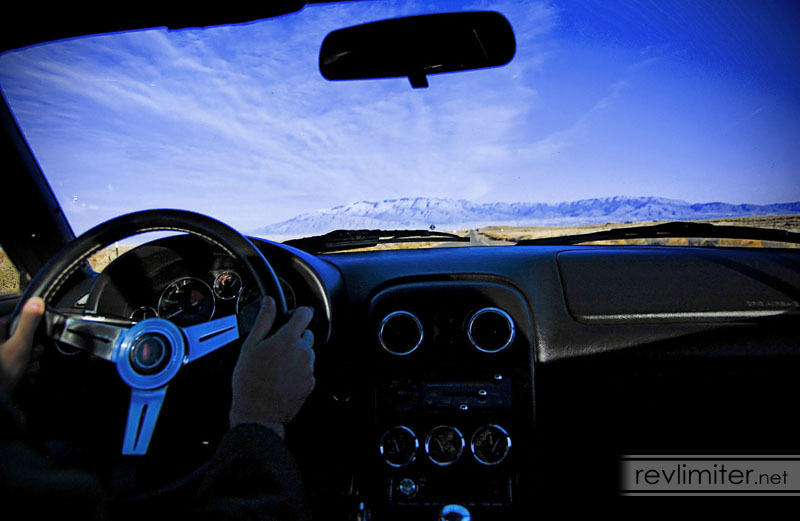 Do you have an RSS reader? I like the one Google has integrated into Gmail. Just setup your account and then click the little cartoon Sharka to the top right. It’ll tell you when I’ve posted something new. 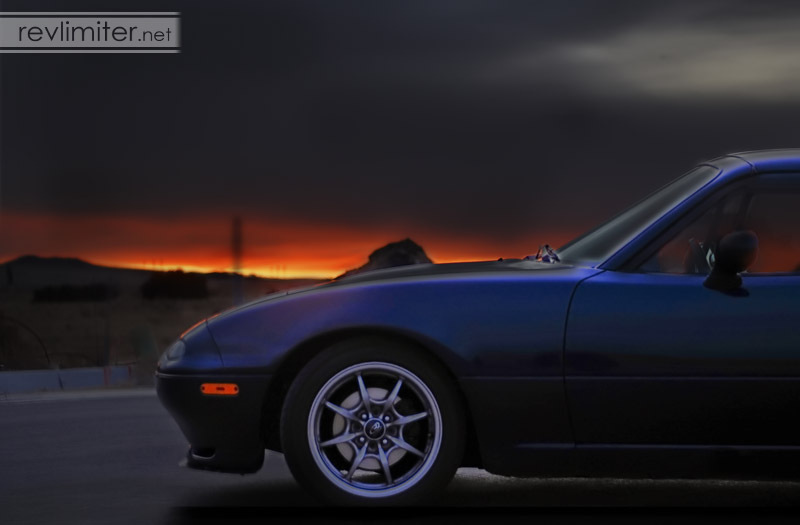 I know you feel because I’d never thought I’d be attached to a car, but my simple 92 has stolen my heart. Sadly though its taken 6 years for me to get the mod train rolling. 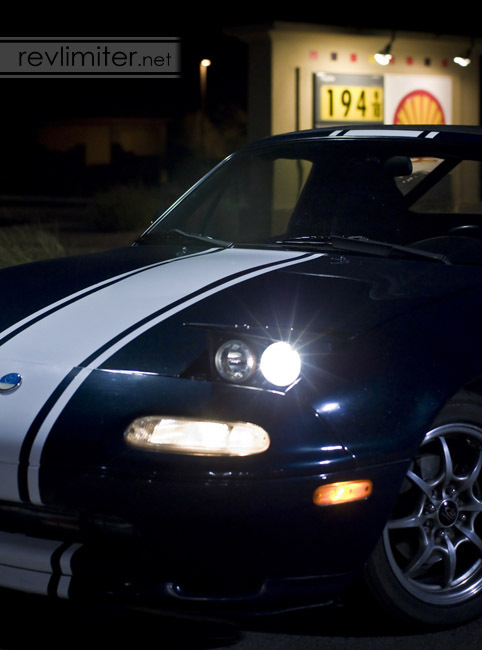 You and Sharka are both huge inspirations for what I want my roadster to be someday. this is great. Happy Birthday, Sharka. If you ever end up driving him thru Europe then let me know. Goodwood next year, followed by driving him onto the Eurostar and going under the Channel Tunnel to Calais, then an hour’s drive to Bruges?! Amazing, I love the blogs and website. Man this is so touching I am gonna cry!! It’s 2015. I think a 15 years post is in order.